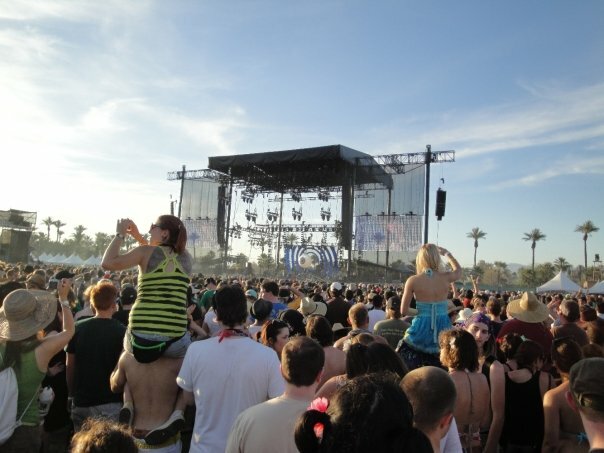 Although I won't be going to Coachella this year (plans fell through and I had to sell my ticket, its kind of a long story) it seems people on Tumblr are still asking me for Coachella advice so I've decided to resurrect the Survival Guide that I wrote back in 2011 and write a couple more tips. I will cover everything from clothing to health advice in this post so feel free to share the survival guide with friends and family who will be going to Coachella. 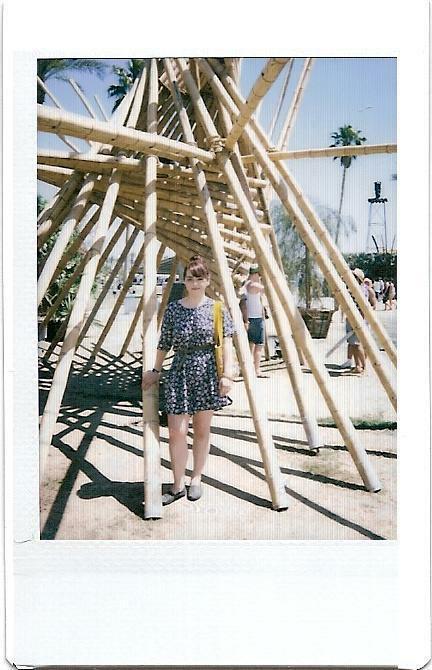 And In case you're wondering what qualifies me to write a survival guide I would just like to let you know that I've gone to Coachella 3 years and have learned those a lot those 3 years. Do NOT wear flip flops, heels, or wedges. You're going to a music festival which means that there are a lot of people and sometimes you're crammed inside a tent and people are bound to step on your feet. As for heels and wedges, again you're at a music festival not the cat walk. Wear comfortable shoes for standing around all day. Wear closed toe shoes if possible. I wore sandals on the first day in 2009 and almost had my pinky toe fractured so I was forced to stop at a Target and buy closed toe shoes for the remaining two days. You can wear Converse, booties, tennis shoes, Toms, etc. Just make sure your shoe choice(s) is/are comfortable since you'll be standing and walking around for 10+ hours. Keep your clothes loose and flowy. I wouldn't recommend wearing jeans since you're out in the desert after all. Also anything that has a thicker material would be a no. DON'T WEAR ALL BLACK! I wore a black shirt in 2009 and I felt like an oven! It was horrible. All these Coachella lookbooks on blogs and YouTube are so elaborate and not very practical in my opinion so remember to accessorize according to your needs. If you're going to rough it up by camping out for your favorite band at the barrier then you should probably not accessorize much. Now if you're planning to have a chill Coachella then you can wear accessories, hats, and all of that. Hats.... again depending on your needs. Don't wear a big floppy hat if you plan to be in the front- the people behind you will hate you. If you want to be experiment with fashion go ahead! Wear gold lamé leggings, a bikini top, a banana suit, etc. If you want to wear something that you normally wouldn't feel comfortable wearing, then Coachella is the place to let your imagination run wild. Definitely carry a backpack or tote bag. Basically anything that can fit your camera, water bottle, snacks, wallet, etc. Also if you're planning on buying records, CDs, or band merch you'll probably want to have a bag with a lot of room. Since it doesn't get too cold at Coachella I would advise you not to be carrying around a jacket. If you do get cold with 60 degree weather (which is the lowest it will get on average) just bright a light sweater. Sunglasses are a must! But if you have an expensive pair I would advise you not to take them because if they get stepped on or lost you will be very bummed out. Buy a cheap pair at Urban Outfitters or Forever 21 so you won't be too sad out if something happens to them. Keep your makeup simple since you'll be sweating a lot! I would probably recommend a tinted moisturizer or just wearing concealer on the places that you need it. Waterproof or fiber mascaras are going to be your best friend, you don't want to end up looking like a panda at the end of the day. I wouldn't recommend wearing lipstick unless you're really going to be retouching it every once in a while. Stick to lip stains or tinted lip balms, basically anything that is not too high maintenance. Instead of carrying around powder and a brush to touch up just carry blotting papers, it'll save you space in your bag and it won't break if you drop it. EAT BREAKFAST! You're going to be out in the heat for 12 hours, so you better eat if you don't want to pass out midway through the day. I know the food inside can be expensive but try to at least eat one good meal once you're inside. If you're planning on being at the front make sure you pack some protein bars to eat since you won't have the luxury of going in and out to get food. Buy the Coachella water bottle or bring your own so you can fill it up at the stations throughout the day. It’ll save A LOT of money and the water is always cold. If you're planning on waiting multiple hours for an artist make sure you buy at least one Gatorade and one extra water bottle. Its near to impossible to leave your spot to refill your water bottle and just expect to make your way back to your spot. Once you're in the front you're pretty much stuck there. If you don't want to buy Gatorade indoors and you tend to get light headed with the heat, then buy electrolyte tablets from Target or any sports store. You just drop them in your water bottle and they dissolve. They're a great way to stay hydrated and be on the verge of passing out. SUNSCREEN IS A MUST! Apply it every two to three hours just to make sure you don't get sunburned. If you're lazy or will forget to apply sunblock often just buy SPF 100 which will protect you for 10 hours. As I said stay hydrated, I cannot emphasize that enough! At the first sign of dehydration (for me my ears go numb and I start seeing black dots) please get out of where you are with a friend or someone you trust, walk to the nearest shady area and buy a Gatorade. Stay out of the sun for at least 30 minutes and take it easy after that. This didn't happen to me at Coachella but I nearly fainted because of dehydration at the 2009 San Diego Street Scene music festival. I ended up going to the ambulance with my brother to relax in the air conditioned ambulance until I gained back some color and was able to walk around. Talking about first aid, take advantage of the first aid offered at Coachella. The staff is really nice and helpful. I unfortunately had to go there in 2011 after going through a panic attack (triggered by stress) and they did a great job calming down and making sure I was alright. A paramedic also let me borrow his phone to contact my friends after I lost my phone and stayed by my side until they arrived. Make sure to walk around, Coachella has great art exhibits and some of them are interactive. There are also tents that you can check out. H&M, Sony, Vizio have all had tents in the past. Definitely check out the Zia Records store! Don't miss out on great deals and limited edition Record Store Day items. Zia Records is also the place to meet some of your favorite artists during their meet and greets! You do need to buy that artist's CD/record in order to get a wristband but its worth it. That’s how I met MGMT and Marina & the Diamonds. 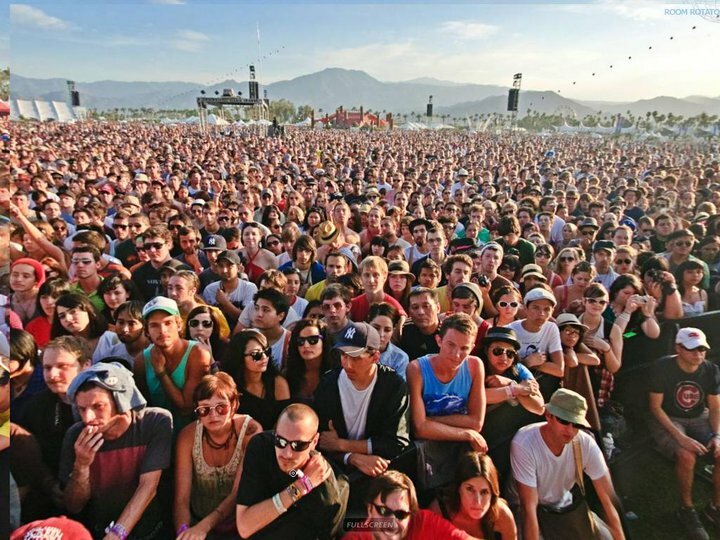 If you want to be at the barrier or in the front for either the Coachella stage or the Outdoor Theatre to see the main act, then you have to head out at least 4 or 5 artists before the one you want to see. I usually arrive at 11am so its a loooooong day but it'll be worth it for die hard fans. Be knowledgeable of what kind of fan base the band you really want to see has. If that band is known for a die-hard fan base (*cough* Radiohead *cough*) the chances that you'll be on the barrier are slim to none unless you're at that stage since the gates open. Expect to just stand for hours if you're at the front. I'd also recommend you to check out the bands playing before your favorite band if you're not too familiar with their music. You don't have to wait hours for every act you want to see but in that case you just have to be aggressive. Take advantage of empty spots in the crowd to make you way to the front and don't be too afraid to say “excuse me” and push a little. The best time to move forward is right after a band is done with their set and there’s people leaving. Carry cash! In 2010 I was short on cash and had to take out money from the ATM and the fee wasn't that pretty. If you are driving to Coachella then you can just stop at your bank's ATM to avoid paying any fees before you head out to Coachella. 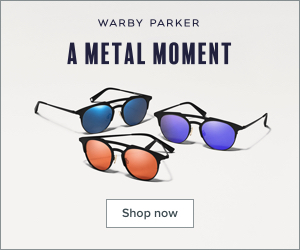 This is your time to discover new music! Get out of your comfort zone. If you don't really listen to techno and electro but you kind of like it, then swing by the Sahara tent for a bit. Walk around and check out the different tents, you'll be surprised who you end up liking. From the food options I personally recommend the pizza and the Chinese food. The Spicy Pie pizza stand is so good and slice is HUGE! You also get a lot of food at the Chinese/Asian stand. I haven't tried the other food stands but there’s a little bit of everything- Mexican, Greek, Chinese, vegetarian... Yeah, I think you get the idea. Also the waffle ice cream sandwiches are very good! Make sure you don't carry your phone inside your pocket, that’s how I lost mine in 2010 after seeing Phoenix. In 2010 I waited around for hours to see Phoenix in the front, bad thing about being in the front is once you're there you're stuck in the front! My plans after Phoenix was to get out and see Little Boots and boy was I wrong! There’s no way of getting out since there was a shitload of people waiting for the headliner and pushing to get closer to the stage. When that happens your only option is to crowd surf to go to the front and exit through the side. I was terrified to crowd surf but I had to do it because I was that desperate to get out. Good thing I did because I ended up with my ribs severely bruised by just staying in there for 15 minutes. Also if you're at the front and the crowd is moshing and pushing out of control like they were during Death From Above set in 2011, GET OUT! If you're honestly in fear of your life and cannot handle being pushed around excessively, then try to make your way to the closest barrier to have one of the security guards pull you out. If you're planning on waiting for hours, make sure you talk to people around you. You never know if they're going to be the ones helping you out or protecting you if someone starts pushing you. Be careful who you pick fights with. In 2009 I got in a drugged out guy's face when he was crossing the line by pushing my friend way too much and I nearly got punched in face by him. Thankfully the security guard was right in front and saw all of that take place and pulled the guy right out of the crowd. I wouldn't recommend experimenting with drugs for the first time at Coachella at all. You never know how you'll react to a drug and how having a sea of people will influence your experience. Also be careful because some of the drugs sold at Coachella can be laced with something else and I doubt you would want to miss acts just because you're stuck in the first aid. I've also seen with my own eyes people having seizures because they've taken lord knows how many drugs. Don't be that person, just take it chill and enjoy the music sober if you can. If you're into taking lots of pictures and videos like I am I recommend you to empty out your memory card (or buy an extra one). Also buying an extra battery for your point and shoot camera would be a good idea. Digital SLRs are not allowed if you don't have a photographer pass. Sure, people do sneak them in but I don’t think you would want to be carrying around such a heavy camera. If your phone runs out of battery, don't worry there’s a place to recharge your phone! Look on the map and you'll see an area where you can charge your phone. Sometimes its next to a tent and other years it has been inside one of the interactive tents. If you're staying at a hotel, take a shower as soon as you get back. Your sore muscles will thank you. Also before you go to sleep take an Advil or another pain killer, again your sore muscles and tired body will thank you. BATHROOMS! If you're disgusted by the thought of using a porta potties (as I am) then you're in luck! There are a couple of trailer bathrooms at Coachella for both men and women. There's only three toilets in those trailers but they are so nice compared to the porta potties. The facility has air conditioning, a sink, is much cleaner, and has paper towels. Plan ahead but also be flexible! The schedule comes out about 4 days before day 1. Its pretty much impossible to see all the bands you like due to time conflicts and other things, so try to be flexible if that happens. If you're going to be driving, getting out at night is a nightmare especially on day 1. Be patient and if you're on the verge of falling asleep I would advise you do get a Red Bull or coffee before you even leave Coachella. 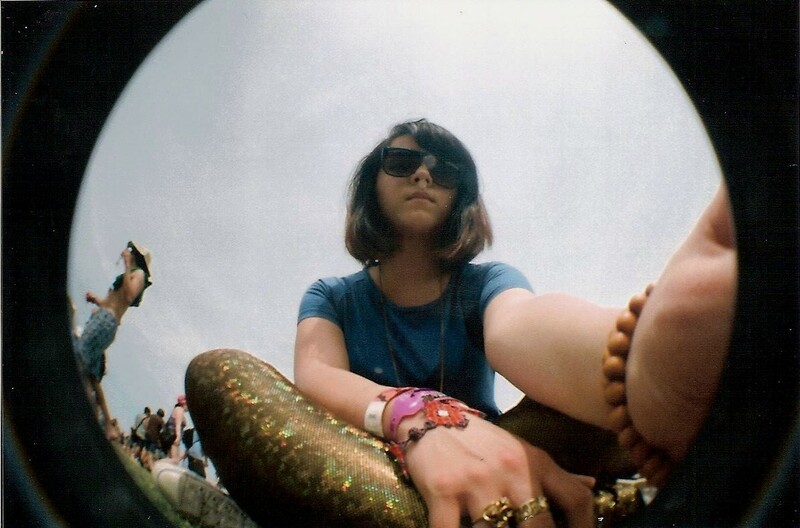 EDIT 2014: Find people who are also going to Coachella through the FestFriends app. You can also use the app to find the shortest drink lines or who's playing next at the Sahara. Those are all my tips! Make sure to check Coachella.com for a full list of prohibited items and other rules. If you have any questions feel free to send them to me, I want to make sure you have a safe and fun time at Coachella. 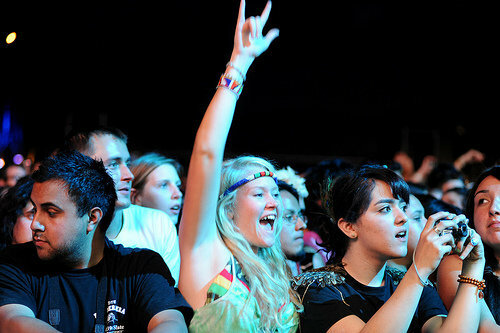 Coachella is like heaven for a music fan, so make the best out of that weekend! Great information, Laura. Thanks for sharing! It was my pleasure. Thank you for taking your time to read the post. I've never been o coachella, but this was lots of great information. I've never been and have no intention on going but your article was so well written and informative that I read the entire thing anyway. Great job!